vegetation are selected for characteristics such as fast growth, ability to be coppiced, nitrogen fixers, or even dynamic accumulators. 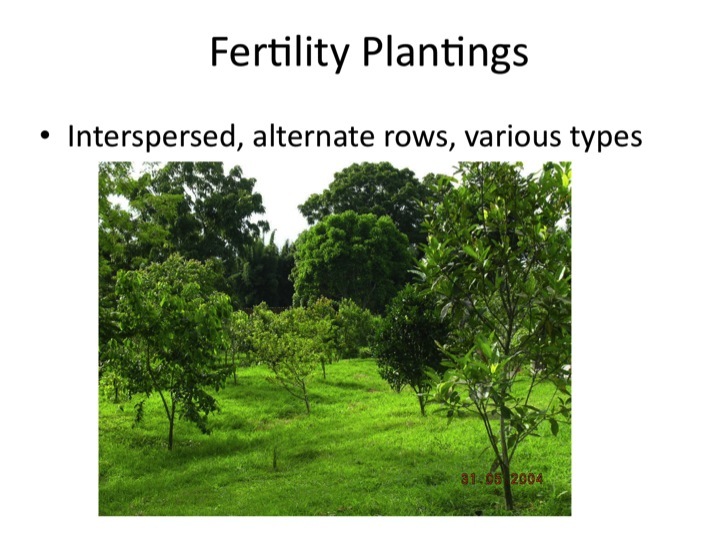 Depending on the context, these plantings can be on contour in strips, dispersed throughout orchards, or planted in clumps to form habitat banks for continous cuttings. In the tropics, there is a huge variety of plants that can be constantly cut back fitting all the layers of food forest. From vines, to herbs, to tall and short trees, nitrogen fixers abound. While in India (2009, Sadhana Forest), I came across a blackberry like plant with almost identical growth habit but had the classic nitrogen fixing leaf form of pinnately compound. It even did natural tip layering which really opened my eyes to dry tropical biodiversity and the role of form and function in nature. 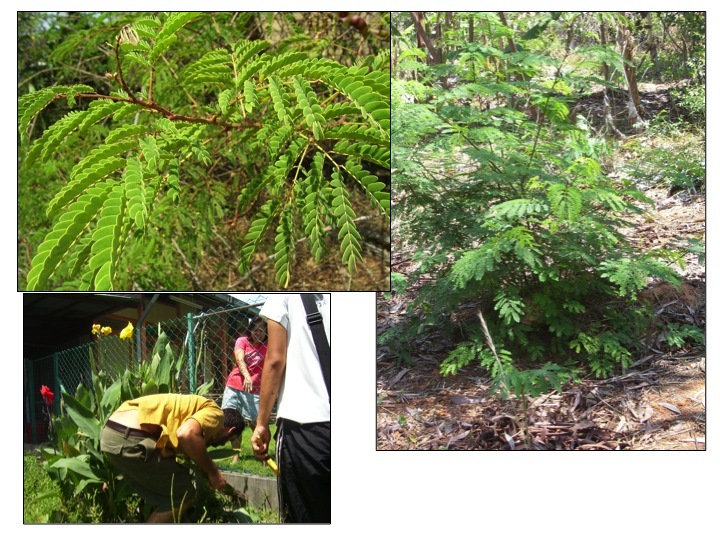 Also on that site was Luceana, a classic chop and drop, multifunctional species of the tropics. In the pic above on the right you can see its coppiced form with multiple stems emanating from the cut stump. The initial cutting of the stem can reward building material and firewood while the branches yield valuable mulch. Furthermore, in the tropics there is a plenitude of herbaceous plants that thrive. Even bananas themselves fit into this category with their non woody stem. In the same plant family as ginger, the banana yields heaps of biomass for mulching bananas themselves or surrounding vegetation. Bananas have been used in establishment phases strictly for this purpose of chop and drop due to their fast growth. In the picture on the above bottom left, a fun story of procuring cana lily on the large island of Penang off the Northwest Coast of Malaysia. While laying idle in an abandoned lot next to a house, we decided to propagate them through root division very spontaneously. The neighbor was quite inquisitive and while the process of root division can seem harsh, it is in fact quite stimulating to the plant. Days later, when passed back that way to leave the island the plant was in full bloom despite the disturbance. We often incorporate cana lily in design for its chop and drop quality and ability to thrive in wet soils. Its beautiful blooms light up a garden scape and often forms a dense clump in guilds. 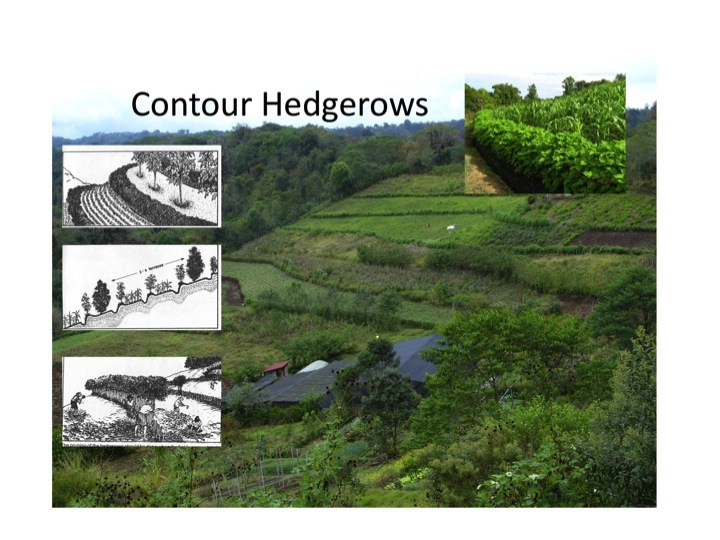 Hedgerows can be established in varying ways but on sloping lands, a great technique is to establish them on contour. The effect becomes an overland swale in a sense, with the dense vegetation slowing water, nutrient, and organic mater down on its descent. Crops or animal pastures are cultivated in between and fertility is then shared and cycled. 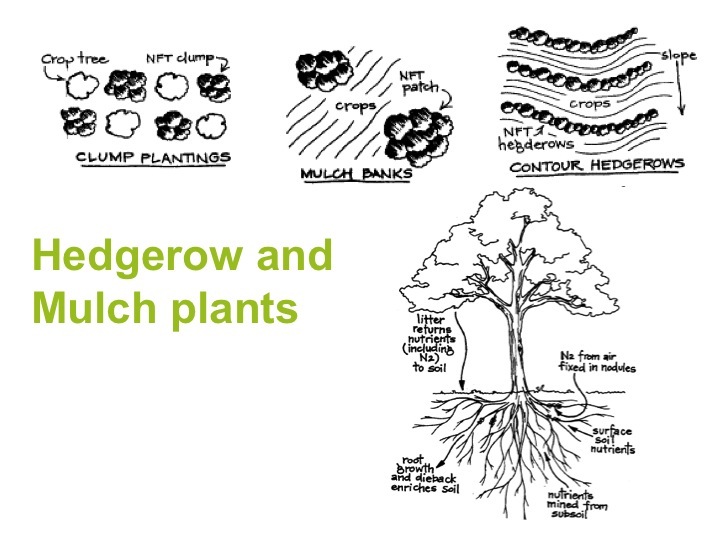 The hedgerows can supplement animal feed, relying on this layer to bring edge and resiliency when growing conditions get tough. Pastures on hillsides are sure to degrade overtime but this upward and outward growth brings the edge that brings fertility and abundance. 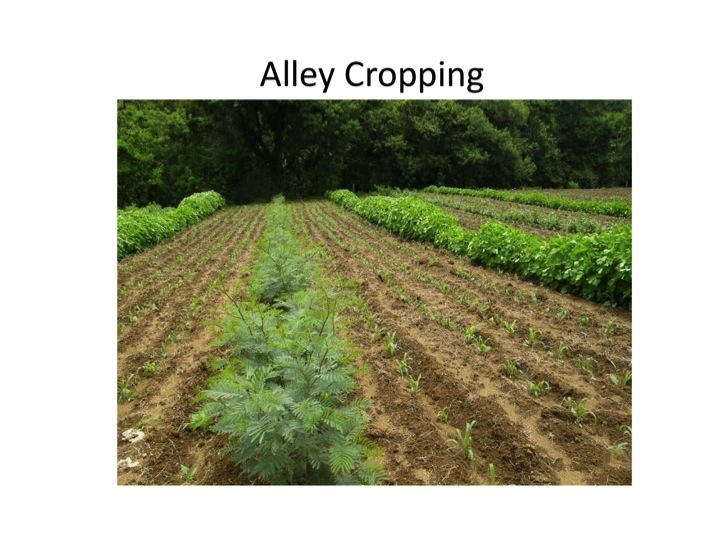 In Singapore and Malaysia in 2009, I advised growers to implement alley cropping to deal with conditions of low fertility and pest problems. At one time they had been adding quality on-site compost with off site resources such as soy bean pod waste from tofu production. This high nitrogen resource made great hot compost but over time as compost was made less and applied less and less because of time and physical constraints, weeds and pests took over. The only logical solution is to reduce your growing space and increase the amount of material growing for chop and drop in relative location. I estimated that the grower would equal or out produce their current production by taking out every third row and adding in a mix of coppicable nitrogen fixers and grasses such as lemongrass or vetiver. This diversity would provide ample mulch and continue the soil fertility building through constant feeding. The little hedges would also slow wind, provide shade possibly (especially important in the dry seasons), and also provide a diversity of root depth. Crops grown in between are much more pest resilient, nutritious, and workers benefit from working much less on their hands and knees with the monotonous task of weeding. Interspersion of Nitrogen fixers into food forests is essential for the systems long term thrivability. These plants can be dotted around the landscape and should be heavily planted in the beginning stages of a system. Over time the trees and shrubs are chopped and dropped heavily where the systems overturns the support species with the productive species. The support species begin to fade out and the tree crops dominate over time while soil builds and the systems becomes more resilient. Some remain as bee fodder or chop and drop material or a myriad of other functional choices. 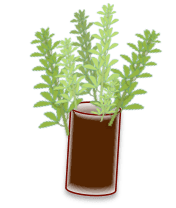 While teaching in Malaysia in 2009, we were dismayed by the fact that we could not find the Permaculture all-star Pigeon Pea (Cajunus cajun) growing especially with the amount of Tamil Nadu Indian descent people live there. When doing a slide show during the PDC this above picture popped up, lighting Tai eyes brightly. Tai was a 16 year Burmese refugee who had been wwoofing with us for months learning permaculture and english and had heard us talk about the plant extensively. She hadn’t recognized it through our descriptions but upon seeing the pic said the name in her native tongue and promptly called her Auntie back in the capitol of Myanmar and seeds where sent promptly. In my work in the Dominican Republic in 2012/2013, I came across this plant daily as it is so popular you can buy the beans in the market and even in tin cans in the supermarket. Thats when you know it is a true commercial crop. 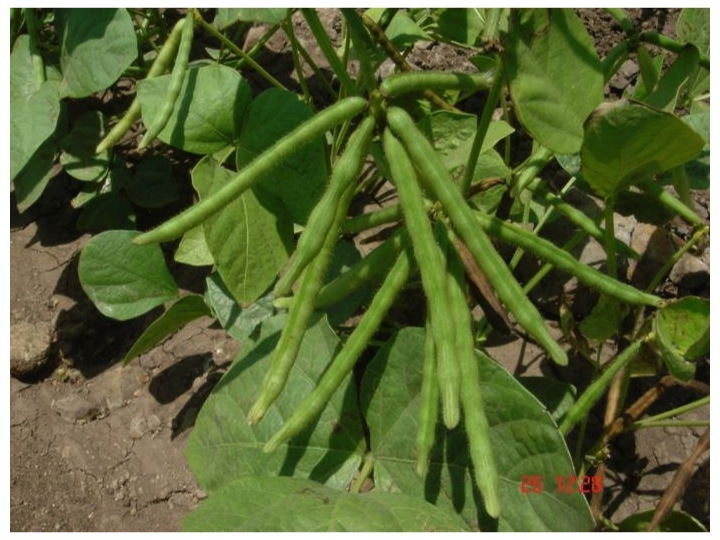 And basically it is a perennial bean that can be grown for this protein source or for its fast growth and ability to give it back to the soil in the form of a green manure. 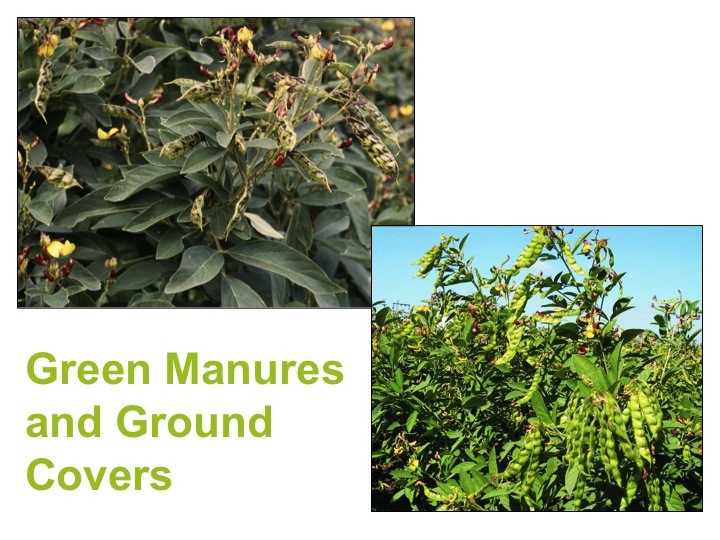 Also in Malaysia in 2009, we used Mung bean quite effectively as a cover crop. You must beat the weeds any time you work the soil. The disturbance results in a grand opportunity for seed germination. Plan ahead and soak the beans, which often are easily bought at supermarkets, overnight then do your earthworks or digging garden beds. Apply thoroughly and lightly rake them in with your hands or with a steal tool. Let them grow until you see the first flower which happens after about three to four weeks as they are quick to mature. Their dense growth shades weeds and fixes nitrogen. Cut before the nitrogen is sucked into the flower and subsequent fruit rather than pulling the whole plant. Simply chop and cut finely if possible and laying the material on the soil where it will quickly break down. This picture above shows that exact process in that 2009 where one phase of implementation included an installation of terraces along a pond as we increased its edge. The rich soil needed to be cycled somewhere so we did it in relative location. You can see the rampant growth of the aquatic weeds on the water surface but also on the land to the right of the pond as this disturbed soil was cover cropped. It allowed us to source the next phases plant material plant all the while growing mulch right there without importing material in. This picture compilation comes from my days in Costa Rica back in 2005 although I used the plant extensively in Malaysia in 2009. There it was utilized creatively to create a green carpet under Coconut trees. 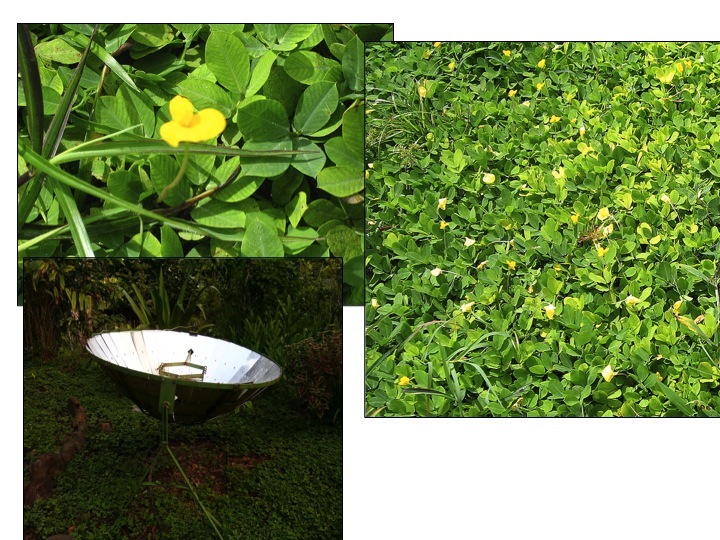 At that time, we were constantly having trouble finding the fruits when they would come tumbling down through the jungly herbaceous layer so we decided to develop the space with this nitrogen fixing ground cover known as peanut grass (zacate de mani in Costa Rica). In Costa Rica it made a great groundcover in our zone 1 and 2 areas with the ducks loving to forage amongst its dense mats for insects. All the while they delighted on the vibrant yellow flowers that have the classic feminine look of the pea family. 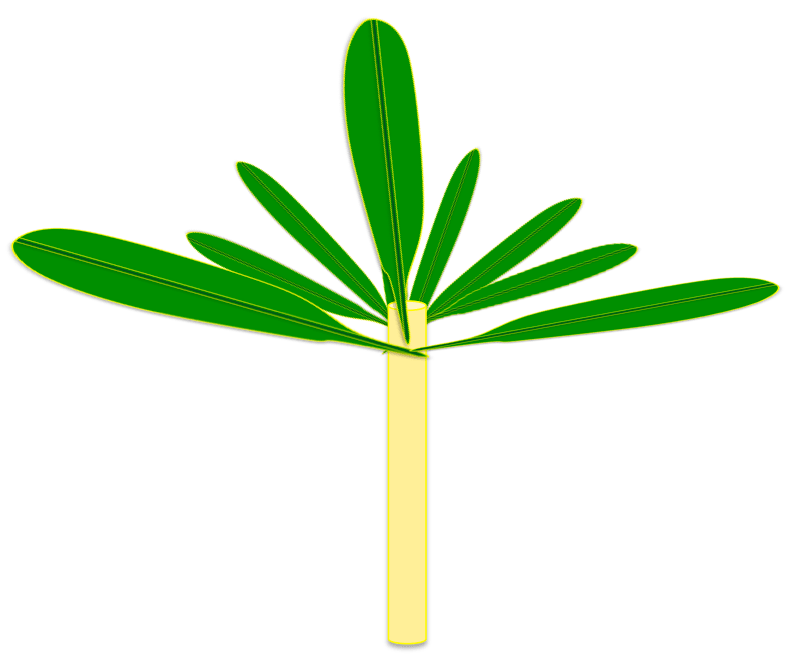 The plant propagates easily and grows rapidly. This can be a great plant in a food forest so easy maintenance and nitrogen fixing can happen simultaneously. 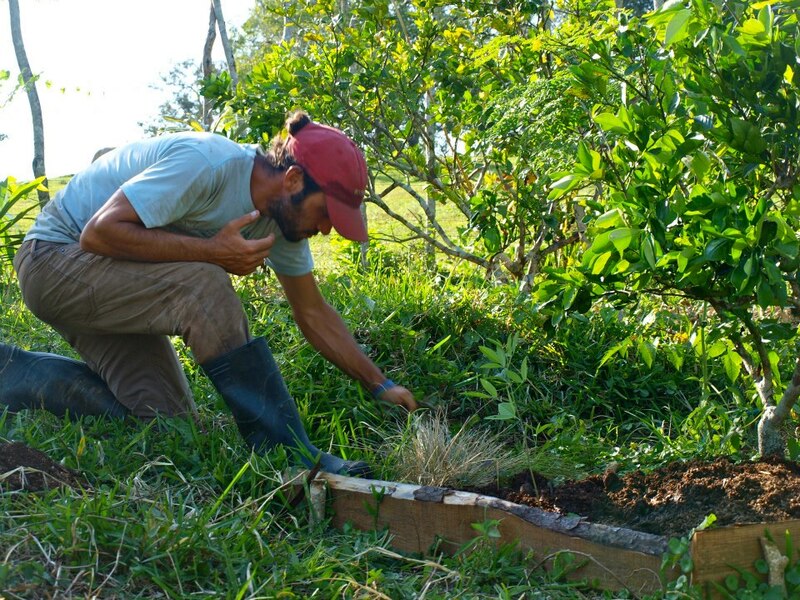 Deriving strategies from all four of these Soil Building technique pages is an important part of developing a sound design or management plan for eco-agriculture in the tropics. 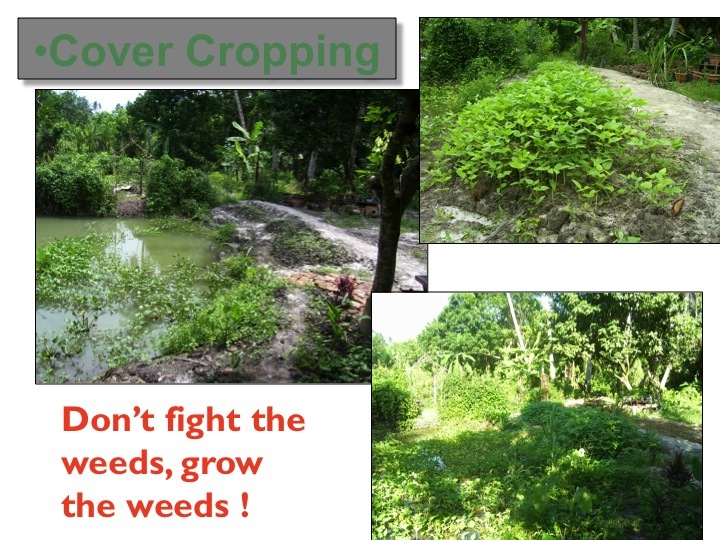 The combination while make the system more resilient and reduce the stress while improving weeds. This has a long lasting effect on the social aspect of the farm because of its implication socially and economically. by the way, i got in contact with Stephanie and she’s so lovely and helpful, look forward to meeting her! Hi Dough,What do the locals in Malaysia call peanut grass please?